Editor’s Note: An earlier version of this post ran on December 10, 2018,, as an introduction to this blog’s symposium on The American Legion v. American Humanist Association, as well as at Howe on the Court, where it was originally published. Over the years, the Supreme Court has sometimes struggled to explain when and why religious symbols are permitted in the public sphere and when they are not. Next Wednesday, the justices will hear oral argument in a dispute over the constitutionality of a cross that sits on a traffic median in the suburbs outside Washington, D.C. The challengers say that the cross is an illegal government endorsement of Christianity, while its defenders counter that the cross is simply a secular war memorial. 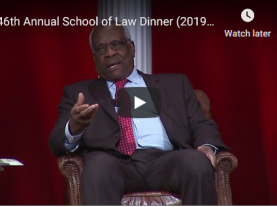 The justices’ eventual opinion will likely decide the fate of the cross, but the ruling could also clarify – or potentially even revamp – the Supreme Court’s test for resolving these kinds of challenges. Since then, the court has both tweaked the Lemon test and criticized it, with the late Justice Antonin Scalia famously comparing it to a “ghoul in a late-night horror movie that repeatedly sits up in its grave and shuffles abroad, after being repeatedly killed and buried.” And in a 2005 case called Van Orden v. Perry, the court rejected an establishment clause challenge to the display of a Ten Commandments monument on the grounds of the Texas state capitol without relying on the Lemon test. 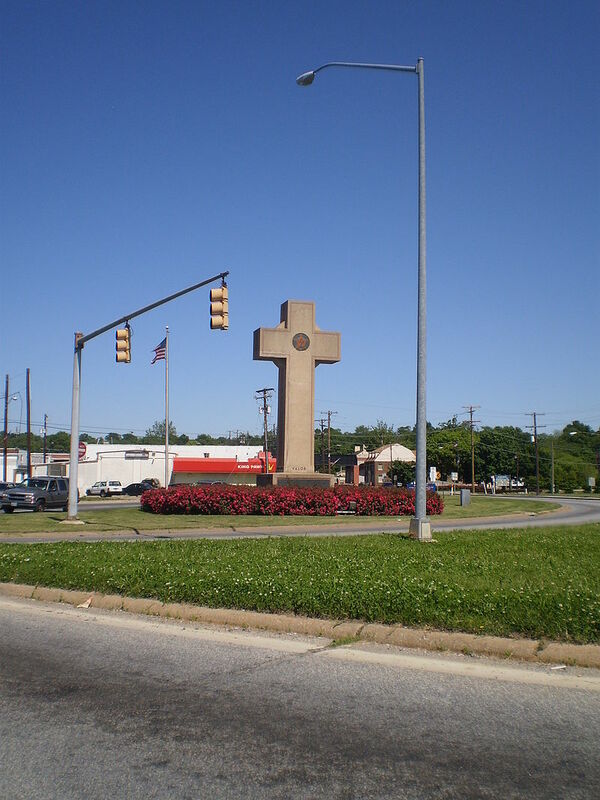 The cross at the heart of the current case was erected in Bladensburg, Maryland, to honor 49 soldiers from Prince George’s County, Maryland, killed during World War I. In 1922, the local American Legion post took over responsibility for the project after the private organizers ran out of money; the fundraising drive included a Christian prayer for the invocation. When the 40-foot-tall cross was finished in 1925, the dedication ceremony featured only Christian prayers, with no other religions represented. In 1961, the state government acquired the cross and the land it sits on, due at least in part to concerns about safety as traffic around the cross increased. The cross is part of a larger park honoring veterans that also contains much smaller memorials remembering the War of 1812, World War II, the Korean and Vietnam Wars, and the September 11 attacks. The symbol of the American Legion – a small star inscribed with “U.S.” – appears at the top of the cross, while a plaque at the bottom contains the names of the fallen soldiers and a quote from President Woodrow Wilson. The plaintiffs in the case are local residents who are offended by the presence of the cross on public land, along with the American Humanist Association, a group that describes itself as a “non-profit organization that advocates to uphold the founding principle of separation of church and state.” They contend that the presence of the cross on government land and the state’s maintenance of the cross violate the Constitution’s establishment clause, and they asked a federal district court to order the state to either remove the cross or alter the monument so that it is no longer in the form of a cross. The district court rejected the plaintiffs’ plea. In its view, the state’s involvement with the cross had less to do with religion than with maintaining traffic safety and honoring veterans. Both the American Legion (which entered the case to defend the cross) and the state asked the Supreme Court to review the 4th Circuit’s ruling. 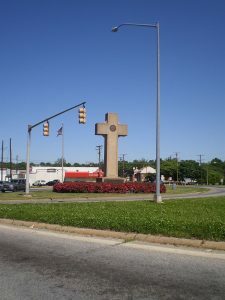 They warned that allowing the lower court’s decision to stand would endanger not only the Bladensburg cross, but other war memorials as well – including two crosses commemorating World War I at Arlington National Cemetery – and the American Legion lamented what it described as the “confused state of this Court’s Establishment Clause jurisprudence.” Meanwhile, a federal appeals court in Atlanta characterized the court’s establishment clause cases as a “hot mess” even as it concluded that the presence of a cross in a Florida park violates the Constitution. On November 2, the justices announced that they would take up the case. The American Legion argues that all of the Supreme Court’s establishment clause tests have a common theme that focuses on “the importance of historical tradition and an objective assessment of the government’s reasons for putting up the display” – a standard that the cross can clearly pass. But the Legion urges the justices to go further and adopt a less stringent test that focuses on whether a religious display is consistent with the country’s historical traditions; if it is, there would be no violation of the establishment clause as long as the government is not “exploiting the tradition to coerce religious belief or observance by” people who are not religious. Defending the 4th Circuit’s ruling, the challengers argue that the cross at the center of this case “sends a much stronger message of Christian favoritism” than a privately donated creche in a courthouse, which the Supreme Court has already deemed unconstitutional. In the challengers’ eyes, the 4th Circuit’s decision is squarely in line with the Supreme Court’s other cases on religion because the entire picture, history, and context of this cross all point to the cross being an endorsement of Christianity, rather than conveying a secular message. When the justices hear oral argument and then decide the case, there are two different things to watch for. The first, obviously, is whether the cross will survive, or whether the court will instead find that it is unconstitutional. The second question is how broadly the justices will rule. Will they issue a narrow opinion that resolves this case and future cases that are very similar, but without saying much more? Or will they instead issue a more comprehensive decision that provides more extensive guidance about when religious symbols are permitted in the public sphere, possibly even jettisoning their old establishment clause rules in favor of a new rule, as the American Legion as suggested? 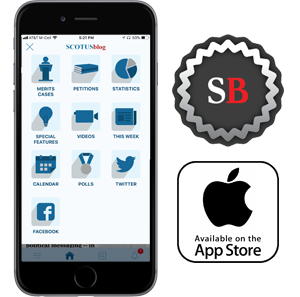 Given Chief Justice John Roberts’ penchant for “judicial minimalism” generally and what seems to be a recent effort by the court to try to avoid more controversial issues, a narrower opinion seems more likely, but we’ll have a better idea soon enough.